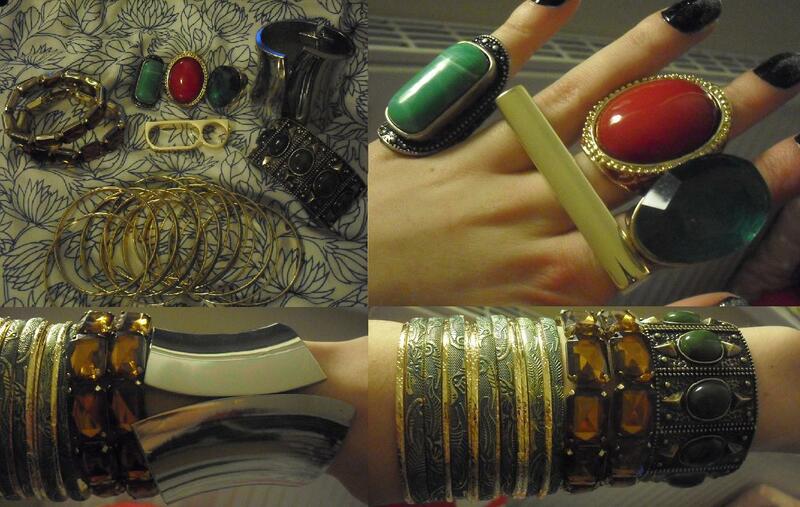 this is the jewellery i bought when i was in birmingham from forever 21. the rings were about £3-£5 each and the bracelets around £5-£8, which i think is a complete bargain! i got another ring but i accidentally smashed the stone off so i have to repair it. it’s going to be one of my new years resolutions to wear more jewellery, as i always wear the same two vivienne westwood rings and, as much as i adore them, i love what different accessories can do for an outfit.